Renowned girl group collector Bob Stanley pulls 24 gems out of his collection. 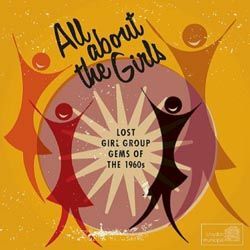 It’s a fabulous cross section of this much-loved sixties genre, ranging from the atmospheric and soulful – The Challengers’ I Hear An Echo – to the magnificently bratty – Robin Clark’s Daddy Daddy (Gotta Get a Phone In My Room). There are lyrics straight out of a sitcom – The Chiffons’ Doctor Of Hearts – and proto Britney mopes like Cathy Carroll’s Poor Little Puppet (“the puppet in the mirror is me!”).